SW Wandsworth Domestic or Business Removals & Packing | RDA Cleaning & Maintenance Ltd. Imagine that you are a happy owner of a new home property? Or you are trying to relocate your business with materials at hands and no helpers around you? Do not panic. The effective removals services are here. And they are very affordable. Save time and money with our professional removal company in Wandsworth SW. You can rely on RDA Cleaning & Maintenance Ltd. for any task or procedure from your removal. No matter what bothers you and what you are deprived of free time to do, we are here to provide you high quality services at fraction of the cost. RDA Cleaning & Maintenance Ltd. provides art removal services Wandsworth SW for when different kind of antiques, paintings and pianos need to be moved. If needed a 3 man team will be sent to the location in order to do the job as needed. Moving services from art galleries to expositions are also provided by us. We want to keep your belongings from any harms and that is the reason we provide blankets and any kind of wraps for the job. All of those things that are required are pre-loaded into the vans by default so there is no need to worry. We can organize your entire removal or give you a hand in some or one chores of the organization: packing service (including the materials provided by us), pick up and delivery, furniture or other big item dismantling, transportation with our vans, antique or fine art transportation and packing. Note: if you order an additional service with our man and van service in Wandsworth SW you will receive a special discount. We can combine the removals procedure with end of tenancy cleaning, one off cleaning for your next home place, rubbish clearance and etc. Get the most exclusive deal for your moving out now! 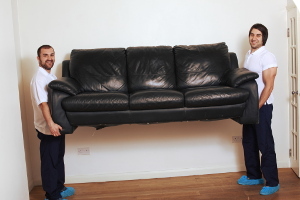 So if you wish to hire a team of high motivated removal experts in Wandsworth SW that will do their job without any hassle then please give RDA Cleaning & Maintenance Ltd. a call at 020 3404 1646 or use our online booking form. That way we will be able to send our teams straight away at your location.